Busted will hit the road on a major tour across the UK in March 2019 in support of their fourth album ‘Half Way There’, due out for release on 08 February 2019. The trio are back with their hyperactive blend of pop-punk for the first time since dropping their multi-platinum album ‘A Present For Everyone’ in 2003. 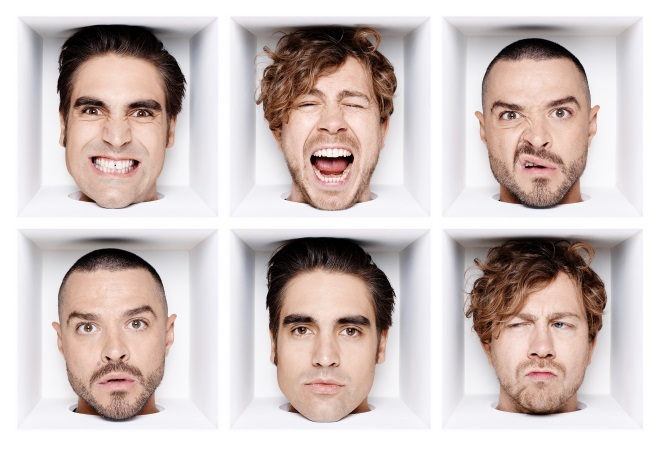 The band, made up of James Bourne, Charlie Simpson and Matt Willis, have been working on their upcoming album for the last year and had one simple goal in mind – to make the ultimate Busted album! They have written more material than ever before, with much of it penned in Bourne’s North London apartment, which also happens to be where they spent a lot of time together when they first formed the band in 2000. The new record saw them work with their dream producer Gil Norton, who has previously worked with the likes of Foo Fighters and Pixies. The band’s hugely successful debut album ‘Busted’ featured hit singles ‘What I Go To School For’, ‘Year 3000’, ‘You Said No’, ‘Sleeping With The Light On’ and ‘Crashed The Wedding’. It was followed up by 2003’s ‘A Present For Everyone’, which was the last record they released prior to their 2005 split. After months of speculation Busted finally confirmed their reunion in November 2015 and hit the road with their Pigs Can Fly Tour the following year. They also released their third album ‘Night Driver’ in 2016.